BRASSIER, GABRIEL-JEAN, priest, superior of the Sulpicians of Montreal, and vicar general; b. 26 Aug. 1729 at La Tour (dept of Puy-de-Dôme), France; d. 20 Oct. 1798 in Montreal (Que.). Gabriel-Jean Brassier entered the Grand Séminaire in Clermont-Ferrand, France, on 31 Oct. 1750 and was ordained priest in 1754, probably on the eve of Trinity Sunday. At the request of his superior, Jean Couturier, he at once chose Canada as the country in which to serve, and he remained there the rest of his life. He spent the years 1754–56 at the mission of Lac-des-Deux-Montagnes (Oka), among the Algonkins, where there were already some Sulpicians. He was made responsible for the parish of Saints-Anges at Lachine during the Seven Years’ War (1756–63). For the last 35 years of his life he was in the parish of Notre-Dame in Montreal. At the beginning of the 1780s Brassier became the right-hand man of his superior, Étienne Montgolfier, whom he effectively replaced in 1789, and permanently succeeded in 1791. He assumed a fourfold responsibility as superior of the Sulpicians, administrator of their seigneuries, ex officio parish priest of Notre-Dame in Montreal, and vicar general of the bishop of Quebec. Unlike his predecessor, Brassier showed great interest in the Collège Saint-Raphaël, where teaching had begun in 1773 [see Jean Baptiste Curatteau]. He considered it important to remedy certain deficiencies pointed out by the churchwarden in charge, Louis Cavilhe, at a meeting of the churchwardens on 6 Sept. 1789. For some 15 years the college had been preparing for the clerical state those who had a vocation, and this policy had not fulfilled the expectations raised by a publicly owned college. Many former pupils had returned to their families disdainful of their fathers’ trades and unsuited for any work whatever; they became useless and often a source of scandal. Cavilhe, speaking for the churchwardens and townspeople of Montreal, therefore proposed that the college, subject to the inspection of the Sulpician superior and the incumbent churchwardens, should be staffed with teachers not only of Latin but also of writing, geography, mathematics, and English. The superior and two representatives of the parish council were also to monitor the quality of the teaching and routine matters; in the case of large expenses they would have to refer to the body of churchwardens. These proposals were warranted, since the parishioners had assumed in 1773 the responsibility of paying for the land and the construction of the college. On the day after the September meeting Brassier took up the improvement of the school situation in Montreal with Bishop Hubert. Soon after, Jean-Baptiste Curatteau resigned because of his health and was replaced by fellow Sulpician Jean-Baptiste Marchand*. The bishop urged the churchwardens to extend a warm welcome to the new director and assured them that their deliberations, which he considered sensible, would bear fruit. The principal designate, he added, had “wit, virtue, skill in handling details, and . . . will merit, I hope, the confidence of the public”; he would moreover be released from his parish work. Hubert appointed two new assistant priests to the parish of Montreal, and chose a deacon, Ignace Leclerc, to teach rhetoric at the college. He advised Brassier to find a layman, a good, honest Catholic of upright moral character, to give daily lessons in writing and English. Leclerc could add two or three geography lessons per week to his load, and perhaps direct an hour of history every evening. Hubert also urged Marchand to protect the young pupils from the corruption of the world and to make them conscious of the honour of being Canadians, of belonging to the Catholic faith, and of being citizens of Montreal. He also insisted upon collaboration between the Sulpicians and the churchwardens, since the latter after all represented the owners of the college. At the end of October 1789 “Marchand’s little school was growing every day,” and three years later the philosophy year already had 20 pupils. In October 1794 the college was expecting to admit more than 184 students. Brassier’s reputation rests on his contribution to the coming of French Sulpicians to Canada, which had been his predecessor’s dream. The persecutions suffered by the clergy during the French revolution had scattered them widely, in particular to England where 8,000 French priests took refuge. The conservative writer Edmund Burke and the refugee Philippe-Jean-Louis Desjardins*, vicar general of Orléans, obtained permission from the British government to send an investigating committee to Canada to examine the prospects for settling French ecclesiastics there. The British authorities had thus far opposed letting any Frenchmen into Canada, but now, still concerned to win the Canadians’ trust, they had changed their minds, having become convinced that any such new immigrants would not seek to alienate former citizens of France from “a just and peaceful” government by inviting them to adopt a “barbarous and destructive” one. While spreading aversion for atheistic and Jacobin France, the exiled priests would at the same time counteract republican propaganda from the United States among the Canadians, and in so doing draw them closer to Britain. Bishop Hubert looked favourably upon the immigration and immediately thought of it as a way of supplying the Collège Saint-Raphaël with teachers. Brassier promptly thanked him but expressed the opinion that few European vessels would venture forth in view of the imminent possibility of war between France and England. He hoped all the same that his superior general, Jacques-André Émery, would profit by circumstances to send him a dozen or so Sulpicians. His desire was fulfilled. Candide Le Saulniers* arrived in the autumn of 1793 and 13 more Sulpicians joined him in Montreal the following year. Four others, who had taken refuge in Spain, succeeded in crossing the Atlantic in 1796. Of the 35 priests or future priests who arrived from Europe in Canada over four years, more than half belonged to the Society of Saint-Sulpice. The survival of the Sulpician order in Canada was assured. An active man, Brassier ended his days paralysed. He had served as a link between the difficult and delicate term of his predecessor, Étienne Montgolfier, and that, no less long and tense, of Jean-Henri-Auguste Roux*. A transitional figure, humble and discreet, Brassier worked to assure adequate pastoral services for Montreal as well as a renowned educational establishment. AAQ, 210 A, I, 57–58, 61, 63–65, 71–72, 125; II, 144, 240–41; 22 A, I, 107–9. ACAM, 901.005, 773–7; 901.012, 784–3, 789–1, 789–5, 793–4, 793–7, 793–8, 794–3; 901.137, 792–3. ASQ, Lettres, I, 56; Polygraphie, XVIII, 20. Mandements des évêques de Québec (Têtu et Gagnon), II, 453–56. Gauthier, Sulpitiana. N.-E. Dionne, Les ecclésiastiques et les royalistes français réfugiés au Canada à l’époque de la révolution, 1791–1802 (Québec, 1905). Galarneau, La France devant l’opinion canadienne. Lemieux, L’établissement de la première prov. eccl. 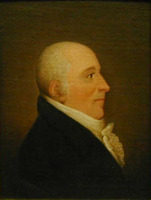 Olivier Maurault, Le collège de Montréal, 1767–1967, Antonio Dansereau, édit. (2e éd., Montréal, 1967). J.-B.-A. Ferland, “L’abbé Philippe-Jean-Louis Desjardins,” BRH, V (1899), 344–46. M. G. Hutt, “Abbé P. J. L. Desjardins and the scheme for the settlement of French priests in Canada, 1792–1802,” CHR, XXXIX (1958), 121. É.-Z. Massicotte, “Une page de l’histoire du collège de Montréal,” BRH, XXIII (1917), 207–9. Thomas Matheson, “La Mennais et l’éducation au Bas-Canada,” RHAF, XIII (1959–60), 477. Lucien Lemieux, “BRASSIER, GABRIEL-JEAN,” in Dictionary of Canadian Biography, vol. 4, University of Toronto/Université Laval, 2003–, accessed April 24, 2019, http://www.biographi.ca/en/bio/brassier_gabriel_jean_4E.html.